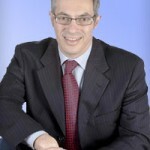 Third Tuesday is back with another blockbuster speaker: Canada’s President of the Treasury Board, Tony Clement. Tony Clement is well-known as a politician who maintains an active Twitter presence, sharing what is on his mind and what he’s doing, and engaging in conversations with Canadians. Anyone who follows Tony Clement knows that his Twitter conversations are sometimes funny, sometimes serious, sometimes combative, but always genuine. 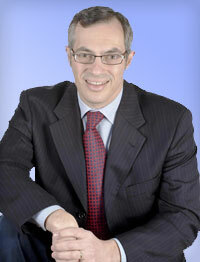 Tony Clement is also the President of the Treasury Board of Canada. That puts him in charge of Canada’s public service and makes him responsible for setting the standards and rules by which social media is being introduced into the Government of Canada. As a Minister, Clement has pushed forward with initiatives to enable Canada’s public servants to use social media in the workplace and a broader initiative to introduce open government standards to the government of Canada. – unveiled the Guideline for External Use of Web 2.0, the reference document that will be used by Canadian Public Servants in determining whether and how they should use social media in the workplace. – announced that completed access to information requests now will be posted online. – announced the addition of 4,000 data sets to the Open Data Portal. – participated in a Twitter Chat on Open Government to give people a chance to raise issues, ask questions and engage with him online. If you’re interested in open government and the use of social media by government, this session will be of real interest to you. I’m looking forward to a great evening of discussion with a man who has matched his actions to his convictions. I hope to see you there.